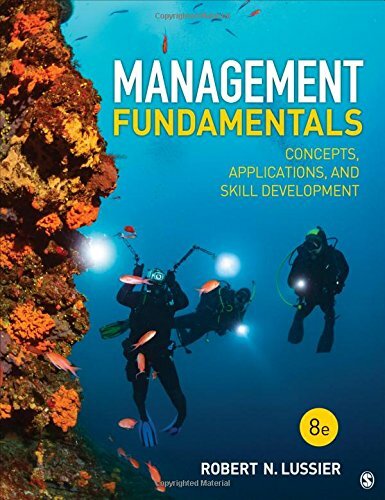 Now in vibrant full color, the Sixth Edition of Management Fundamentals presents essential management themes using a three-pronged approach comprising concepts, applications, and skill building. Through a variety of thought-provoking applications, Lussier challenges readers to think critically and apply concepts to their own experiences. Proven skill-building exercises, behavioral models, self-assessments, and individual and group exercises throughout the text help students to develop their managerial skills. 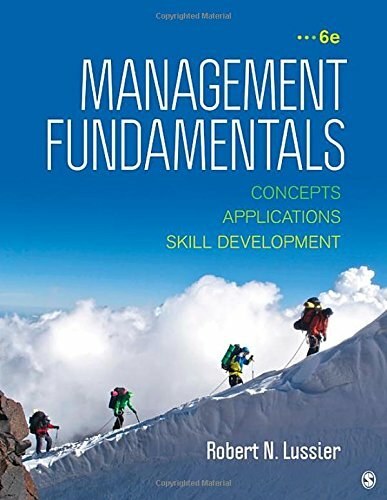 Current topics mandated by the AACSB, such as communications, ethics, analytical thinking, interpersonal relations and teamwork, and application of knowledge, are covered as appropriate throughout the book. The Sixth Edition has been completely updated with 95% of the references new to this edition, and it features new cases, new topics, and a new chapter, Managing in a Global Diverse Environment. 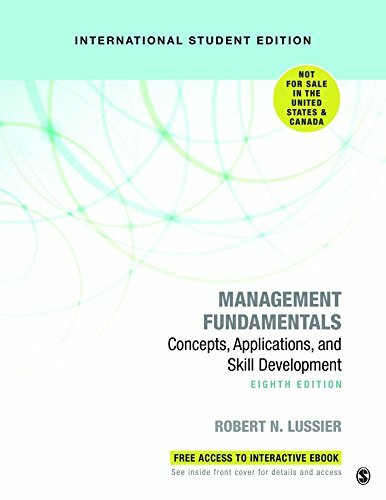 Robert N. Lussier is a professor of management at Springfield College. Through teaching management courses for more than 25 years, he has developed innovative methods for applying concepts and developing skills that can be used both personally and professionally. A prolific writer, Dr. Lussier has more than 425 publications to his credit, including Management 7e (SAGE), Human Relations 10e (McGraw-Hill), and Leadership 6e (South Western/Cengage) and has published in top tier academic journals. He holds a bachelor of science in business administration from Salem State College, master’s degrees in business and education from Suffolk University, and a doctorate in management from the University of New Haven. He served as founding director of Israel Programs and has taught courses in Israel.